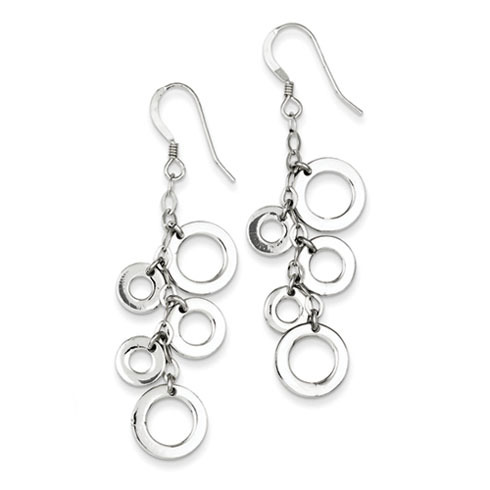 Sterling silver multi-circle drop earrings. Weight: 5.4 grams. Earring measures 2 5/16 inches tall.